The Trump administration wants to stop requiring automakers to make cars more fuel efficient beginning in 2020, setting up a potential fight with states that have voluntarily set higher gas mileage standards. Under the Obama administration, the Environmental Protection Agency and Department of Transportation set requirements for how much gas per mile new cars should use, saying that the standards would reduce greenhouse gas emissions and air pollution. The policy would require automakers to manufacture cars that averaged at least 35 miles to a gallon in 2020 and continue to improve efficiency every year up to 50 miles per gallon by 2025. The new proposal would freeze the 2020 requirement for at least five years. The EPA announced earlier this year that it would re-evaluate that policy to look at whether factors like gasoline prices have changed enough to change the rule. The proposal released by the EPA and DOT says that the fuel efficiency standards raise prices on new cars, leading more Americans to drive older cars longer and making the roads less safe. "There's some tension between calling for ever-increasing fuel efficiency standards on the one hand and the effect it has on highway safety on the other hand," assistant administrator in the EPA's air office Bill Wehrum told reporters. 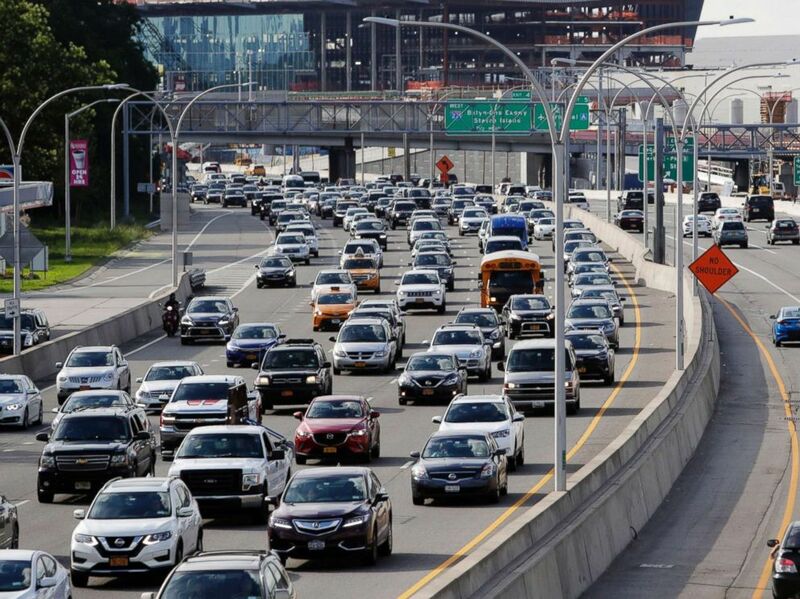 Cars on the Grand Central Parkway pass LaGuardia Airport in New York, Aug. 1, 2018. The Trump administration has proposed rolling back tougher Obama-era gas mileage requirements that are set to take effect after 2020. Heidi King, the deputy administrator of the National Highway Transportation Safety Administration, said the administration is excited about the idea of getting more modern cars on the road to replace older, less efficient ones. "The source of the safety benefits is from getting folks into affordable, more fuel efficient, cleaner safer cars," she told reporters. Environmental groups who support the gas mileage standards, consumer advocacy groups, and medical associations that aimed to reduce air pollution slammed the proposal. "The Trump administration’s proposal to slam the brakes on America’s successful Clean Car Standards is a massive pileup of bad ideas," Environmental Defense Fund President Fred Krupp said in a statement. "This proposal will substantially increase pollution and will cost the average American family hundreds of dollars a year extra for gas. "It’s a proposal that attacks the states’ right to protect people from dangerous pollution, one that no one -– not the American public, not the states, not even most automakers –- really wants, and one that’s being presented to the public under the false and easily discredited guise of improving public safety," the statement continued. 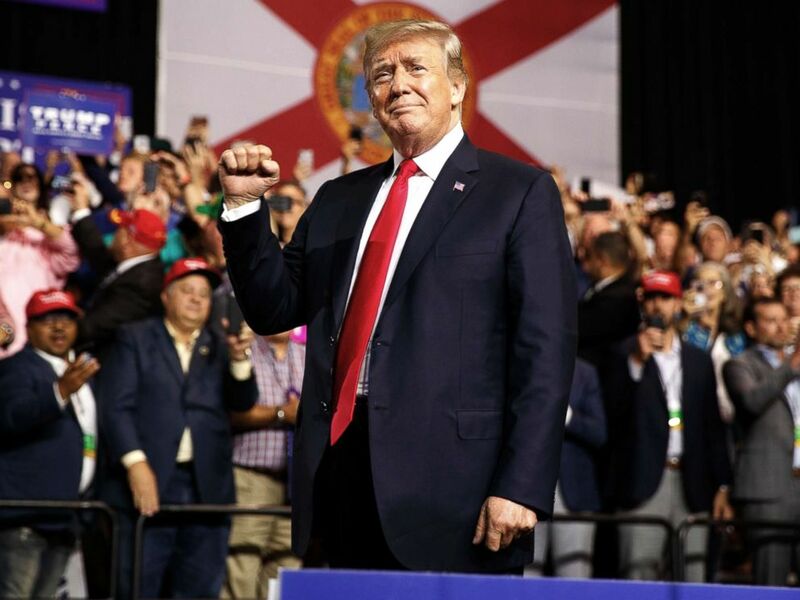 President Donald Trump arrives for a campaign rally at Florida State Fairgrounds Expo Hall, on July 31, 2018, in Tampa, Fla.
Another potential wrench in the proposal is that California and several other states have voluntarily adopted higher gas mileage standards, setting up a conflict between automakers that want a uniform standard for all states. The proposal announced Thursday would withdraw California's waiver to set its own fuel efficiency standard, saying that the state has not proven that it needs its own standards to meet "compelling and extraordinary conditions" to address environmental problems. The California attorney general and 19 other states have said that they will sue if the federal government tries to force the state to lower its standard. "The Trump Administration has launched a brazen attack, no matter how it is cloaked, on our nation's Clean Car Standards," California Attorney General Xavier Becerra said in a statement. "The California Department of Justice will use every legal tool at its disposal to defend today's national standards and reaffirm the facts and science behind them. Our nation's Clean Car Standards save consumers thousands of dollars, protect our families' health, and ensure that we continue tackling climate change, the most important global environmental issues of our time. We are ready to do what is necessary to hold this Administration accountable." 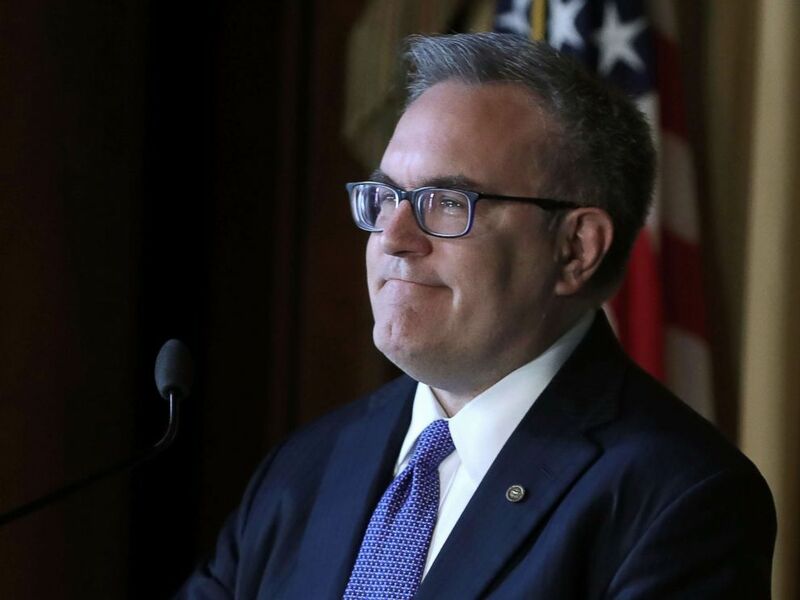 But Andrew Wheeler, the acting chief of the EPA, told lawmakers on Wednesday that he doesn't want the federal standard to contradict states that want to require higher gas mileage. Acting EPA Administrator Andrew Wheeler speaks to staff at the Environmental Protection Agency headquarters on July 11, 2018 in Washington, D.C.
"It's my goal and this administration's goal to come up with a 50-state solution, and we want to have a 50-state solution that does not necessitate preempting California. However it's important there's a number of goals amid the proposal and there's important goals on highway safety, so we'd have to make sure that those are met," Wheeler told a Senate committee on Wednesday. The proposal, which was released Thursday, will be available for public comment for 60 days and the EPA and DOT plan to hold three public hearings to hear testimony on the issue.